We believe in freedom of choice. That’s why we only require that you contract valet and beverage services through our exclusive preferred service providers. For the rest, you may use any licensed planners, artists and experts that you choose to create an event that’s uniquely your style. Below are our preferred service providers, if you need help choosing, we’ll be happy to share our extensive list of trusted vendors. Two fully equipped bars await your guests at Promenade on the River, ready to dispense anything from champagne toasts to non-alcoholic juices for a bar mitzvah. 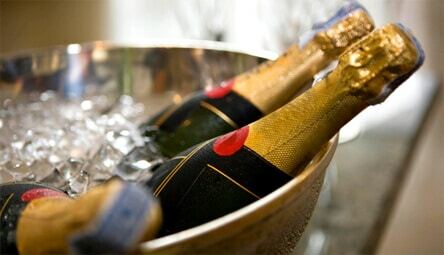 Patrons must contract for beverage stock and servers from one of our trusted providers. When your guests arrive, treat them to the luxury of valet service so that they can walk right into the event from the curb, instead of the parking lot. 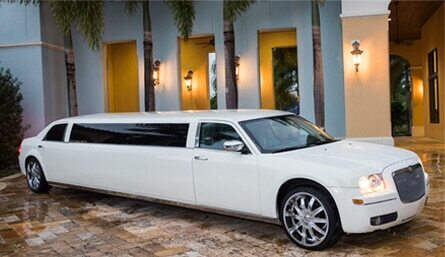 Patrons must contract for valet service from our trusted partner, Seven Star Limousine & Valet. 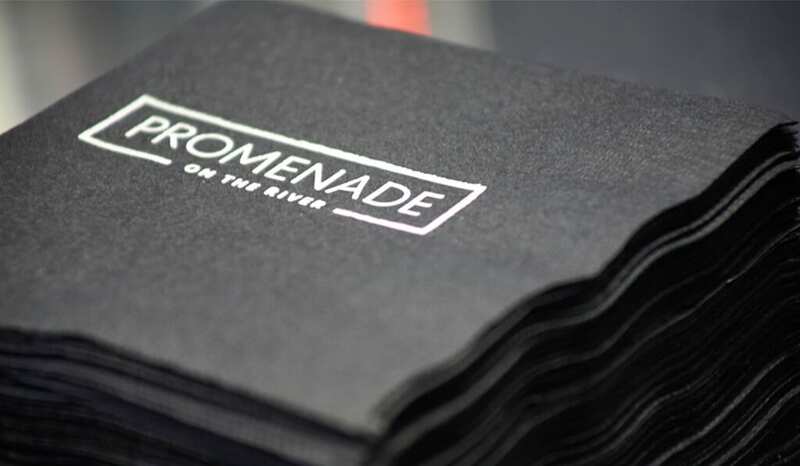 Promenade on the River provides the environment, tables and chairs, and your planner brings in everything else to make your vision a reality: table linens, dinnerware, flowers, candles, favors, outdoor tents and so on. 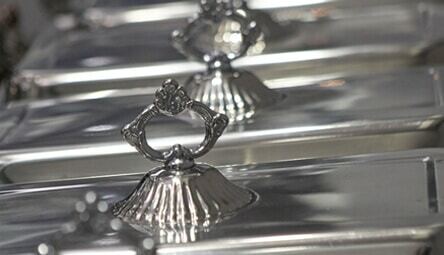 Choose any licensed planner you wish; and if you don’t have anyone in mind, we recommend ECP Events. 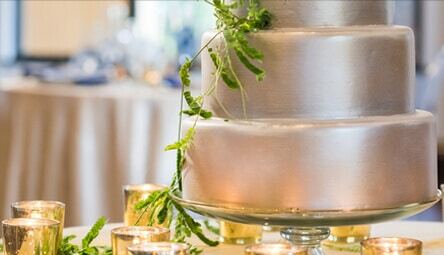 Whether your event will be a sit-down dinner or cocktails and hors d’oeuvres, Promenade on the River’s prep kitchen provides all the amenities your caterer could wish. That’s right, YOUR caterer. 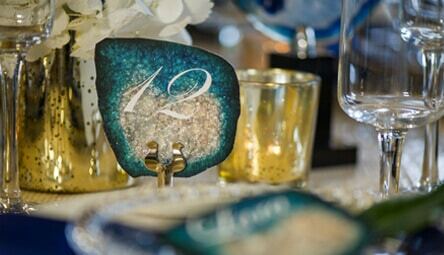 Unlike many venues, we give you the option to bring in any licensed caterer for your event. From table centerpieces to bannister garlands, fresh flowers help set the scene for any special event. 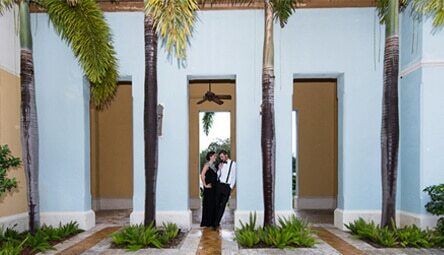 Your florist will work with you or your event planner to complement the style, theme and color scheme of the event. 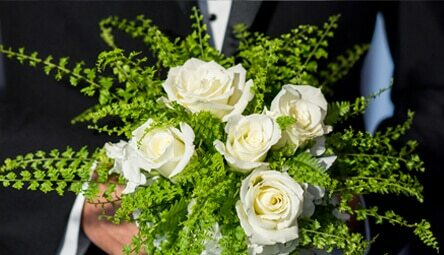 And we’re always available to help you select a florist and are proud to recommend Misty Rose Flower Shop. Choose your own bakery to create that magnificent, one-of-a-kind cake you’ll remember all your life. Promenade on the River is happy to recommend Magnolia Cakes & Confections. For all the milestones of life, from quinces to weddings to golden anniversaries, a great photographer can capture the moments that will never come again. Hire the photographer of your choice, or, if you like what you see in our Gallery, we’ll provide an introduction to the artist whose work you admire. 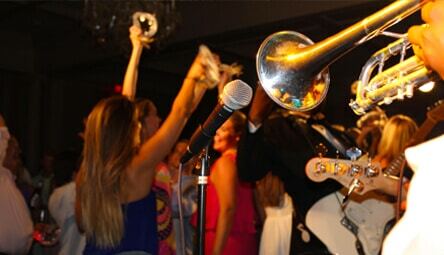 The ground level at Promenade on the River is equipped for a live band or DJ setup. Bring in the sound artists that fit your style, or ask us for exclusive, patrons-only access to our list of favorites for parties of all types. 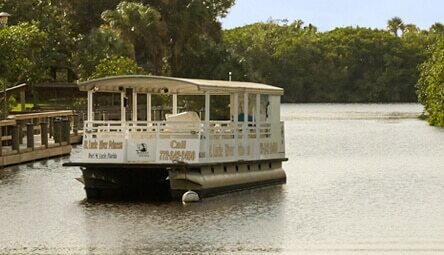 One of Port St. Lucie’s finest tourist attractions goes right past our property: St. Lucie River Boat Tours. They offer daytime ecological adventures, romantic sunset cruises, and charter opportunities for private groups.